If you haven’t seen the new website for St. Louis Downtown Airport yet, you should check it out. It has a fresh, new design that is mobile friendly and easier to navigate. The updated website gives you a chance to find out more about the airport Bi-State Development Agency owns and operates, as well as the airport’s history, economic development projects and available services. Pilots flying into the St. Louis region can go to the site for weather updates and other important airport data, including information about traffic patterns, communication frequencies, runway specifications and more. But that’s not all. Now business travelers and visitors coming to the St. Louis region can find out more about the on-site restaurant, The Hangar, as well as the Greater St. Louis Air & Space Museum which is located in historic Hangar 2 at the airport — the same hangar used by Charles Lindbergh, Amelia Earhart and Jimmy Doolittle when they came to St. Louis in the 1930s. Website visitors can also find out about other great restaurants in St. Louis, hotels and all the wonderful attractions the region has to offer, including taking a trip to the top of the Gateway Arch when they are planning their trips to the Gateway City. 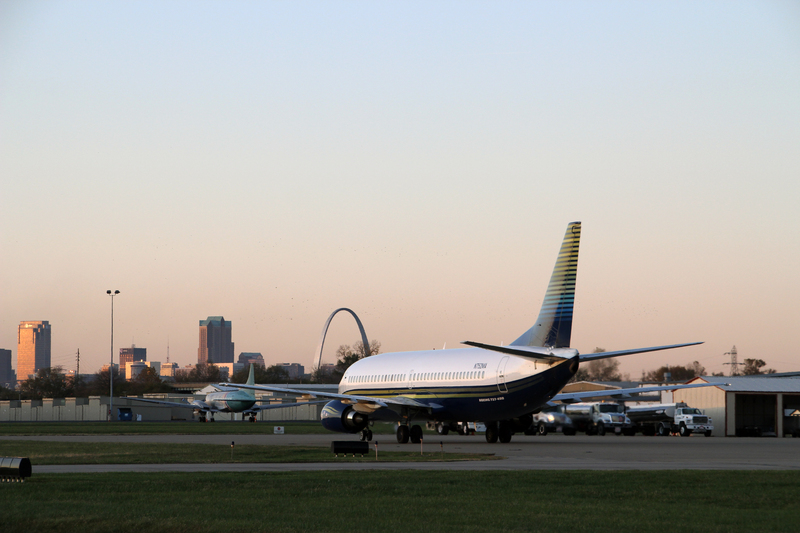 St. Louis Downtown Airport is located in Illinois just three miles from the Gateway Arch and downtown St. Louis. You probably don’t know that it is the second busiest general aviation airport in the region and third busiest in Illinois after Chicago’s O’Hare and Midway Airports. In a single month, there may be 8,500 takeoffs and landings with aircraft ranging from Boeing 737 charter flights to personal ultralight planes. Professional sports teams, political and business leaders, entertainers, and hundreds of general aviation pilots fly in and out of the airport, which generates more than 3,700 jobs for the region and provides a regional economic impact of $584 million. 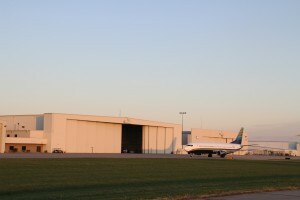 The airport is also home to 26 businesses, including Jet Aviation, an international aircraft maintenance and services company, which operates on 60 acres of the airport’s 1,000 acres. The airport and its surrounding industrial business park are located in Cahokia, Ill. and Sauget, Ill. Bi-State Development Agency purchased the airport back in 1964 after regional leaders realized they needed reliever airports for Lambert-St. Louis International Airport. Back then it was called Parks Metropolitan Airport and had been shut down so the airport property could be developed into a residential subdivision. A year later, it reopened as Bi-State Parks Airport, and then in 1999, we renamed it as St. Louis Downtown Airport because of its close proximity to downtown St. Louis. 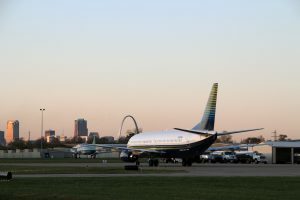 The airport has seen a significant increase in the number of large charter planes bringing professional sports teams and others to St. Louis since the primary runway was reconstructed a few years ago to handle aircraft weighing up to 200,000 pounds, such as the Airbus 320 and the Boeing 757. This runway enhancement is just one example of the expansion and development St. Louis Downtown Airport has experienced in its 86 year history that have helped the airport maintain its role as an important economic engine for the region and positioned it for continued growth in the years to come.